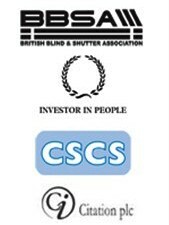 Contract Blinds | Window Filming | Cubicle Tracking | Cubicle Curtains | Fly Screens - ContractBlindsOnline.co.uk by Better Blind Company Limited. At the early stages of the project cycle, Better Blind Company consult with architects and specifiers to assist in the specification of the appropriate system type, system features and fabric. Two decades of experience in projects for a diverse range of end-users and tenants allows us to identify product specifications to meet the specific and often demanding needs of your client. The Better Blind Company’s longstanding relationship with the most innovative system and fabric manufacturers will enable us to help also make the perfect selections to meet both the technical and environmental requirements of your project. We understand that project cost is a concern even at the specification stages, and we can assist you in formulating a cost effective specification, whilst not cutting corners on product quality or functionality. Whilst our products may only represent a small element of the overall contract in terms of cost and time, our contracts team understands the critical importance to your tender and project schedules of delivering on-time and with minimum disruption at every stage of our involvement - from our reply to tender, to site survey and installation. Our portfolio of systems and fabrics includes brands from all leading manufacturers. This coupled with a formidable level of attention to detail means that we can accurately fulfill the most stringent of specifications addressing potential pitfalls before they arise. Better Blind Company understand that in competitive tender situations, the narrowest cost improvement can make or break both our own, and your own attempts to secure a contract. However, quality and reliability is never undermined. Our team of experts are able to assist you in the selection of products and services that will not only meet your requirements but also be long lasting and cost effective. We are mindful of the day to day implications of the systems we specify. As such, the window blinds, cubicle tracking and window film we recommend are chosen to minimise maintanence costs, whilst maximising usability. Unlike a lot of companies, our service doesn’t end at installation. We can offer continued support for our products - with ad hoc or contract cleaning and maintenance packages. Ultrasonic Blinds Cleaning uses sound waves to remove dust, bacteria and dirt. Better Blind Company removes blinds from site to be cleaned using the very latest ultrasonic blinds cleaning equipment, before returning and reinstalling. Benefits include cost savings, hygiene and improved quality of working environment. Read More. Easy Fit Disposable Cubicle Curtains dramatically reduce the time taken to replace cubicle curtains. Built-in easy-load gliders slot into the cubicle track’s curtain removal point. Disposable curtains are manufactured from 100% recyclable polypropylene treated with Endurocide antibacterial formulation which has been tested against a range of bacteria including MRSA. Read More. Better Blind Company are trained and accredited installers of the Kestrel Magnetic Anti-ligature Suspension system - a highly effective means of greatly reducing the risk of self-harm by ligature in environments such as prisons and psychiatric wards. Kestrel load-release magnetic brackets are utilised to install blinds, cubicle tracking, curtain rails, and a range of accessories including soap dishes, coat hooks, towel rails and shelving. Read More. Better Blind Company are installers of window film for a variety of purposes including solar gain and glare control, health & safety, security, privacy and decoration. Our window films are specifically designed to allow our clients to comply with legislation relating to health & safety, as well as allowing them to address environmental and cost concerns around building energy efficiency. Read More. Movatrack 101 Mobile Cubicle Tracking is a revolutionary cubicle curtain tracking system which enables optimum and flexible utilization of space in busy hospital departments such as A&E and Theatre Recovery. Cubicle widths can be altered in seconds by nursing staff in response to changes in medical requirements, whilst maintaining patient privacy. If a spare dividing rail is provided, an extra bed-space can be quickly accommodated. Read More. Movatrack Overhead Intravenous Track Systems are the safe, space saving alternative to the traditional floor standing drip-stand. Movatrack IV safely and simply suspends equipment, such as drip-bags and pumps from an overhead track. Movatrack IV maximises floor-space and enables equipment to be positioned exactly where required. Benefits include reduced risk of damage, improvements to efficiency of working practices and patients’ quality of life. Read More.